View cart “JESUS Set Me Free (My Testimony)” has been added to your cart. As you read this remarkable book, many of the scripture passages you have known for years will suddenly take on new meaning. By examining words and phrases in their original language, the Bible will come alive. Whether you are a pastor, Bible student, Sunday school teacher, or a believer who has a strong desire to know God’s Word, you will return to this book again and again. This book has really opened my eyes to the true depth of GOD’s Word. 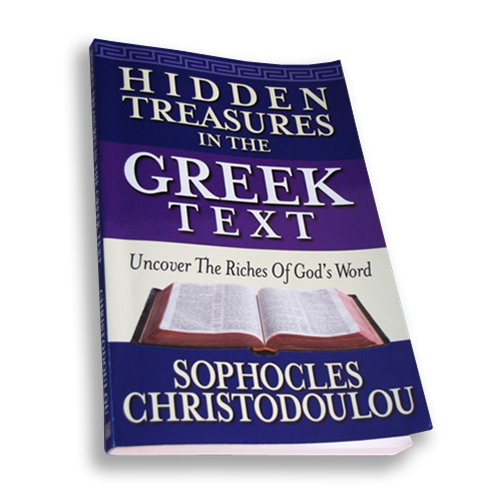 These “Greek hidden treasures” really helped me see everything from a new perspective, and truly given light to many of the mysteries of GOD and of the Bible. The book carefully brakes down the sentences and words and shows what the original meaning is, in fact there are often several meanings, each backing up the other. I have been a Christian for many years now and this book has helped me grow to a new height in my relationship with the LORD. I understand His love for me better, the sacrifice of JESUS and also what that really means for us today. I understand my purpose in life more and the rights and privileges we have as sons and daughters of God. This book is very detailed but is explained in a well written easy to understand way. I highly recommend this book to anyone and everyone, and I’ve given many as gifts as well!